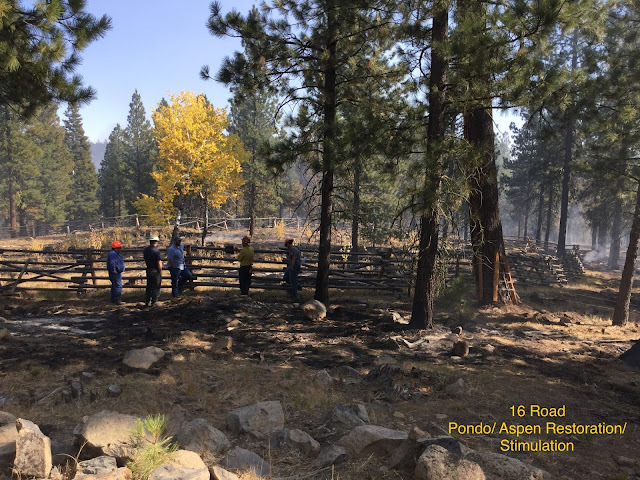 Did you know that fire is one of the ways to help declining stands of Aspen (Populous tremuloides) regenerate? Fire managers watch on as the 16 Road Prescribed Fire burns in the John Day area in 2016. 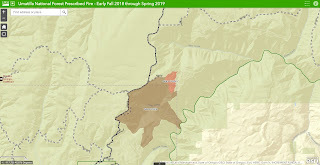 BAKER CITY, OR – The Wallowa-Whitman National Forest will begin implementing its prescribed burning program as the snow melts and drier weather conditions prevail. Prescribed fire managers are planning to implement hazardous fuel reduction burns beginning at many project sights. 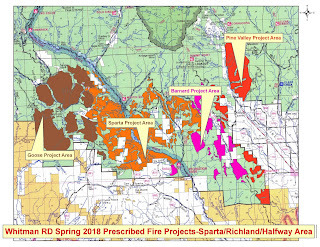 Fire management officials on the Walla Walla Ranger District are implementing a 150 acre prescribed burn within the Alder Creek burn unit, located approximately 22 miles North of Elgin, Oregon. The Alder Creek prescribed burn is anticipated to take 1 day to complete and primarily consists of grass, brush and scattered timber. The objective of the burn is to improve foraging habitat for big game, reduce long-term wildfire risk through reductions in existing fuel loading, and to restore the ecological functions of a fire adapted ecosystem to the area. Hunters and forest visitors are encouraged to plan ahead and avoid the area during prescribed burning activities. 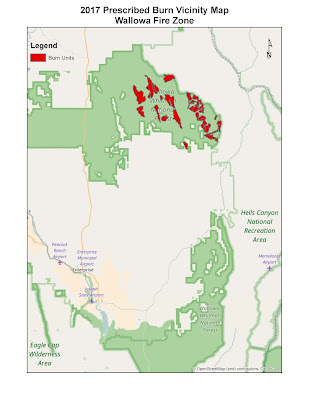 These are the Proposed prescribed burning units for the Wallowa-Whitman National Forest. There are very specific parameters for weather, smoke dispersion, and site specific concerns. These units may or may not be completed this year, depending on conditions.